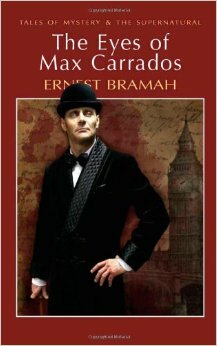 Over on Vulpes Libris I’ve posted a brief but heartfelt paean to the Max Carrados stories by Ernest Bramah. These are mildly addictive, in the ‘just one more before I turn the light out’ sense, and thoroughly ingenious detective stories, dating from 1913 right through to the 1930s. But I enjoy them most as a record of daily life in Edwardian and Georgian England, where a lucrative fatality from poisoned mushrooms will take you to a photographer’s laboratory, and the creepy neighbour of your newly rented house in the suburbs seems to want to dig up your garden at midnight. Highly recommended.